Today, as promised, we released our list of DSD prize winners in the newest edition of The Digital Press News. To all of our winners -- we will be contacting you throughout this weekend with more information about collecting your prizes. To everyone else who participated throughout the past week -- thank you for spending your time with us during DSD at The Digital Press! We had a ton of fun celebrating this memory-keeping hobby that we all share with each other... and we hope you did, as well. During our big DSD celebration, we had a lot of laughs and great times (I mean, was there anything more addictive and fun than the 'Bad Beatles Songs' game?! haha), and we're so glad you all joined us and contributed to the fun. THANK YOU TO EVERYONE! Thank you so much! And congratulations to all winners. Congrats to all the winners, and thanks to everyone else for making this such a fun celebration! Hooray! Thank you so much, and congrats to all the winners! I had a ball! Thanks for all the fun. Congrats to the winners! Congrats to all of the winners! Thanks for making it such a fun DSD! Yay! Congrats to all the winners! DSD is always so fun!!! 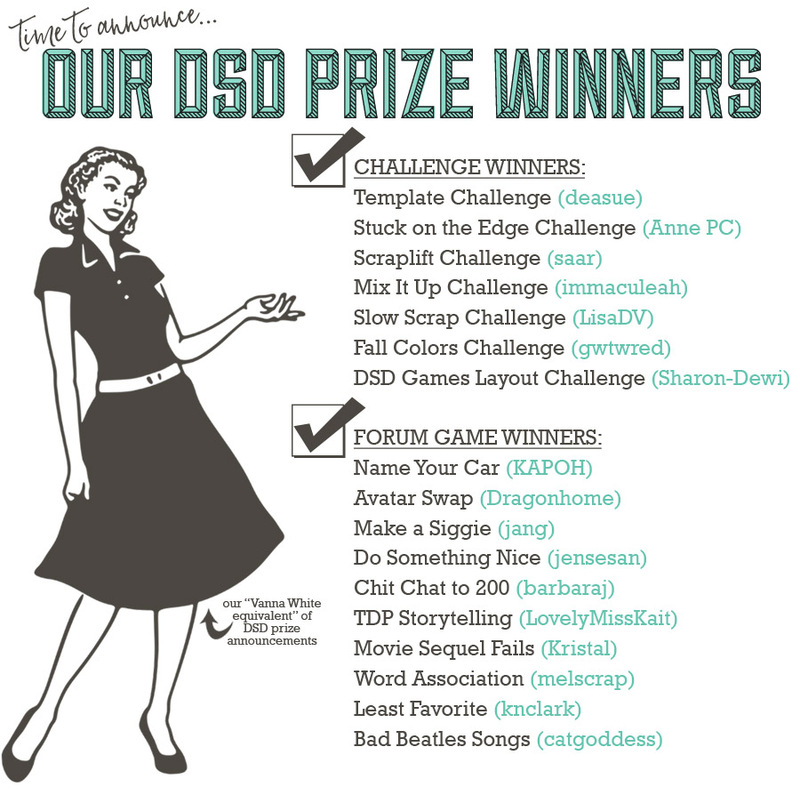 Thanks for putting together a wonderful list of challenges and games. Congrats to all the winners. Awesome job everyone! Congrats! TDP always throws fun celebrations!